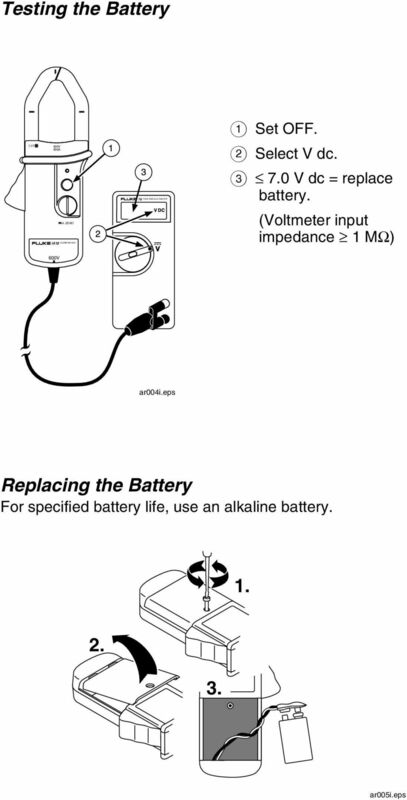 Download "i410/i1010 AC/DC Current Clamp"
1 /i1010 AC/DC Current Clamp Instruction Sheet Safety Information XW Read First: Safety Information To ensure safe operation and service of the current clamp, follow these instructions: Read all operating instructions before use and follow all safety instructions. 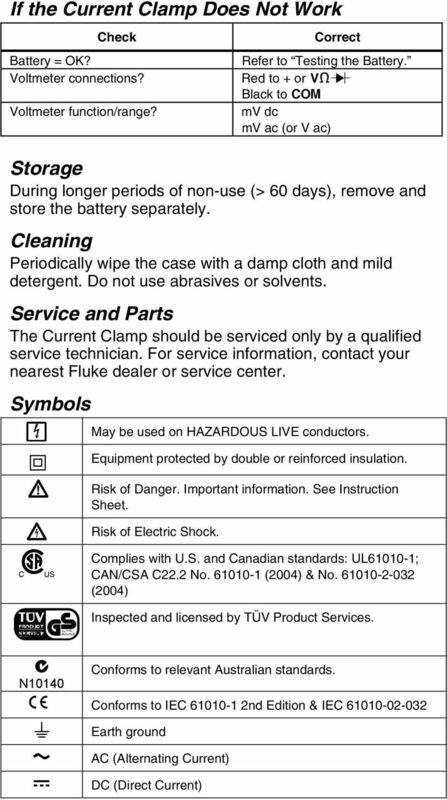 Use the Current Clamp only as specified in the operating instructions, otherwise the clamp s safety features may not protect you. Adhere to local and national safety codes. Individual protective equipment must be used to prevent shock and arc blast injury where hazardous live conductors are exposed. Do not hold the Current Clamp anywhere beyond the tactile barrier. See Features and Connections. 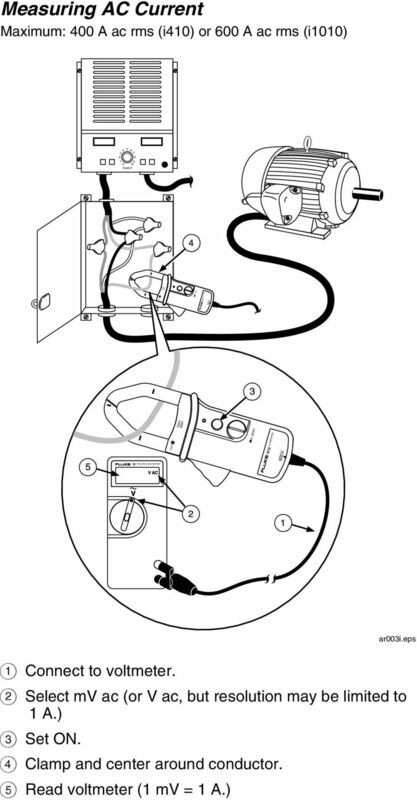 Before each use, inspect the Current Clamp. Look for cracks or missing portions of the clamp housing or output cable insulation. Also look for loose or weakened components. Pay particular attention to the insulation surrounding the jaws. 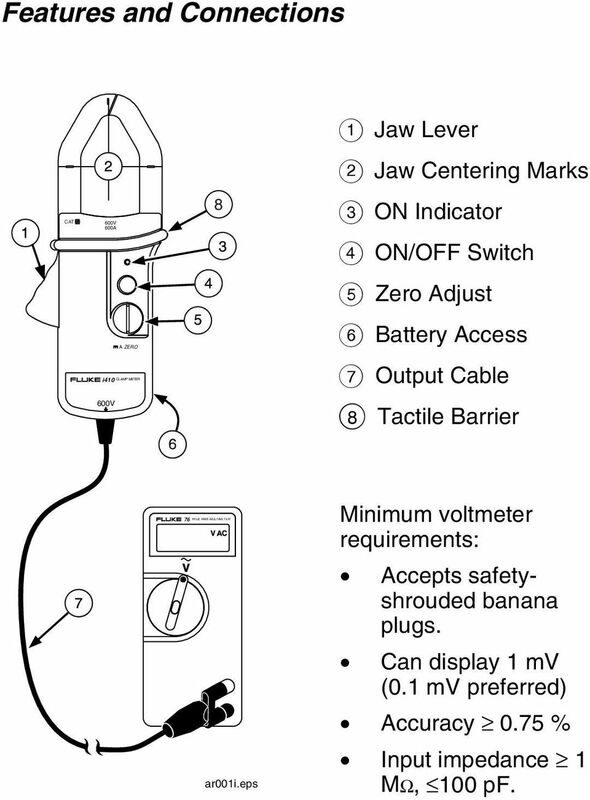 Never use the clamp on a circuit with voltages higher than 600 V (CAT. III) or a frequency higher than 400 Hz () or 2 khz (i1010). CAT III equipment is designed to protect against transients in equipment in fixed equipment installations, such as distribution panels, feeders and short branch circuits, and lighting systems in large buildings. Use extreme caution when working around bare conductors or bus bars. Contact with the conductor could result in electric shock. Use caution when working with voltages above 60 V dc, 30 V ac rms or 42 V ac peak. Such voltages pose a shock hazard. PN September 1996, Rev.2, 6/ Fluke Corporation. All rights reserved. Printed in Thailand. 2 CLAMP METER TRUE RMS MULTIMETER Features and Connections A Jaw Lever B Jaw Centering Marks CAT 8 C ON Indicator D ON/OFF Switch E Zero Adjust F Battery Access G Output Cable H Tactile Barrier 76 Minimum voltmeter requirements: V ar001i.eps Accepts safetyshrouded banana plugs. Can display 1 mv (0.1 mv preferred) Accuracy 0.75 % Input impedance 1 MΩ, 100 pf. 7 Specifications Operating Temperature -10 C to +50 C (14 F to 122 F) Storage Temperature -20 C to +60 C (-4 F to +140 F) Relative Humidity 0 % to 95 % (0 C to 30 C) 0 % to 75 % (30 C to 40 C) 0 % to 45 % (40 C to 50 C) Altitude Operating Non-operating 0 m 2000 m 0 m m Battery Type 9 V (alkaline) NEDA 1604 IEC 6F22 Battery Life 60 hrs typical (continuous with alkaline) Safety s Double Insulation, 600 V rms, CAT. III Current x Hz Product 240,000 Output Signal 1 mv per amp dc or ac Working Voltage 600 V rms, CAT. III maximum at input Maximum Conductor Size 1 ea. 30 mm (1.18 in.) diameter 2 ea. 25 mm (0.98 in.) diameter Load Impedance 1 MΩ, 100 pf Temperature Coefficient +/-(0.05 x accuracy per C (0 C 18 C, 28 C 50 C) Size 209 mm x 78 mm x 48 mm (3.09 in. x 8.21 in. x 1.87 in.) Weight 0.5 kg (17.6 oz.) Specified Current Range: Usable Current Range: DC Accuracy (zero 3.5 % A (0 A adjusted, conductor 400 A) centered) AC Accuracy 3.5 % A, 45 Hz 400 Hz, Crest Factor 3. (0 A 400 A) i A 400 A ac rms * 1 A 600 A ac rms * 1 A 400 A dc 1 A 1000 A dc 0.5 A 400 A 0.5 A 1000 A 2.0 % A (0 A 1000 A) 2.0 % A, 45 Hz 400 Hz, Crest Factor % A, 400 Hz - 2 khz sine wave. (0 A 600 A) Bandwidth 3 khz 10 khz * With a true-rms voltmeter, the minimum ac current is limited to the low end of the specified mv ac range. 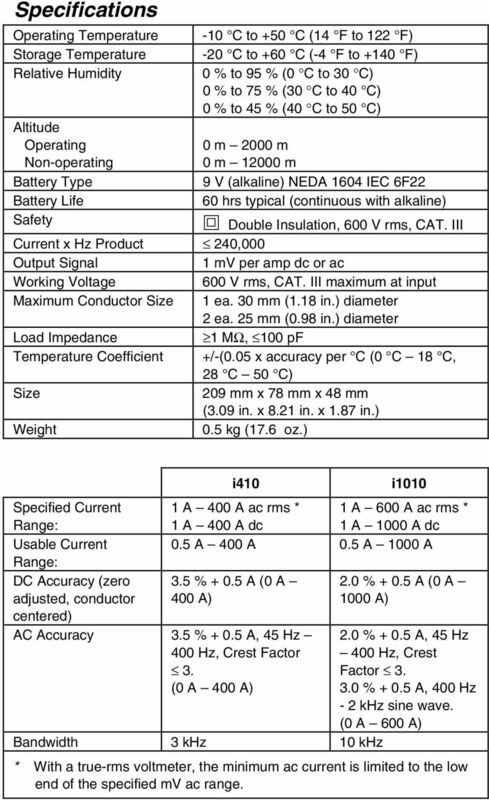 80T-150UA Universal Temperature Probe Instruction Sheet 80T-150U TEMPERATURE PROBE C F OFF Introduction The Model 80T-150UA Universal Temperature Probe is a self-contained temperature-to-voltage converter. 36 AC/DC True Rms Service Information WWarning Do not service the Meter unless you are qualified to do so. The service information provided in this document is for the use of qualified personnel only. 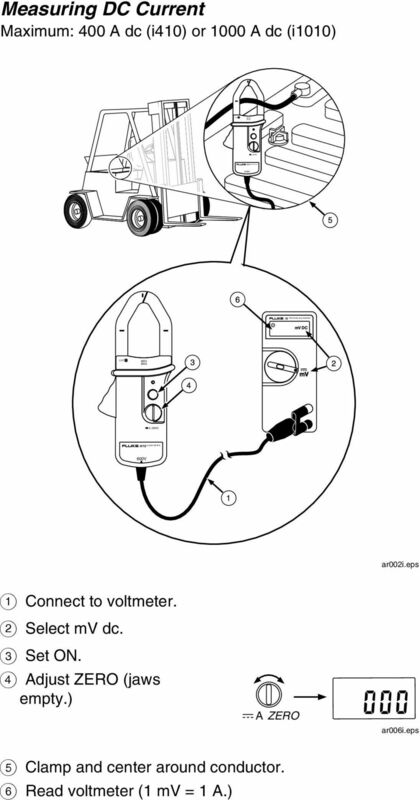 Owner's Manual Digital MultiMeter Model No. 82170 CAUTION: Read, understand and follow Safety Rules and Operating Instructions in this manual before using this product.! Safety! Operation! Maintenance!